“If regulators are to be more effective, they have to embrace a simple idea; regulation isn’t an obstacle to thriving free markets, it’s a vital part of them”…. Paul Samuelson. In recent months, even as the recorded number of real estate transactions has gone down by approximately 40 per cent on a year-on-year basis, a number of developers have announced a plethora of new freehold projects. Moreover they have announced that their projects have been sold out within hours or days after the launch. Often, the same developer has units available for sale within days of these announcements taking place. This has sparked debates as to the veracity of these statements; in many cases they have added to the level of cynicism that investors have felt regarding the level of transparency that is in the local real estate markets. This dichotomy of investor sentiment has become more apparent. Even when markets were buoyant, announcements of projects being sold out were commonplace. 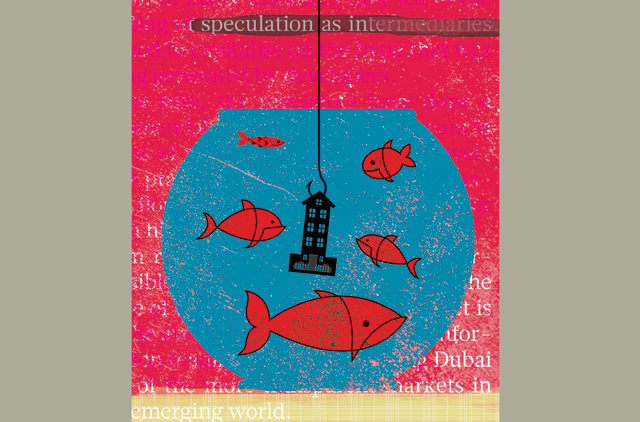 In many instances they led to the fuelling of speculation as intermediaries rushed to capitalise on the hype that was being generated by developers. To be sure, the regulators have done a commendable job in the last few years in terms of scrutinising broker and developer practices and the level of information flow available to investors has never been higher. From rental rate hikes allowed, to permissible brokers and developers and the stage of construction that each project is at, the average investor can access information readily and easily, making Dubai one of the more transparent markets in the emerging world. However, there is something to be said for regulating such announcements, especially when the impact on the potential homeowner could be potentially deleterious. Looking at the regulation of capital markets may offer the solution. When companies go to market with IPO offerings, they not only stipulate the amount of the IPO, but in the event that they have a green shoe option (the ability to increase allotment), it is clearly stipulated in the offering documents. When the initial offer period closes, the regulator has access to the amounts that have been collected during this time, and accordingly approves the subsequent press release where the company announces the amount of under/over subscription that has been achieved. In the same way, developers should be obligated to release the total number of units that are available in the phase, along with the number of units sold (which has to be submitted to RERA via Oqood). This way, all investors have ready access to the uptake that is taking place in the off-plan markets. While this may add to the number of filings that the developer is required to submit, it is the road that developed economies such as the US, the UK, Hong Kong and Singapore have already taken steps towards. It also appears to be an inevitable process that will aid in the maturity of the local real estate sector. The aim and intent of regulation is always for the protection of the small investor. This is all the more necessary when the investment decision in question may be the purchase of one’s own home. Towards this end, it is paramount that the dissemination of information be accurate and instantaneous. This is a sure-fire way to add to confidence in the markets and is all the more critical given that Dubai is attracting institutional money flows. Also, the securitisation of real estate assets is imminent in the next few years given the gargantuan size of the projects that have been announced. Such information flows will prevent the adding to the hysteria of speculation in rapidly moving markets, thereby fulfilling a crucial gap existing in the ecosystem. The current spirit of regulation has clearly been for the transparency of information and this step will be a decisive move forward in the development of the marketplace.